boards and is used in Schools, Colleges etc. We are actively engaged in presenting supreme quality array of Vespa Blackboard Paint to our esteemed clients. Apart from this, these products are prepared using high quality ingredients. With the advent of advanced tools and latest techniques, we offer an exceptional array of Paints that are commonly known as Black Board Paint. Our entire product range is chemically balanced and has precise ph value. Being a noteworthy business enterprise, we are readily indulged in presenting to our customers a comprehensive Blackboard Paint. 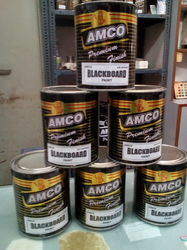 We are offering an extensive series of Blackboard Paint. These products are extremely employed in the market for diverse purposes. 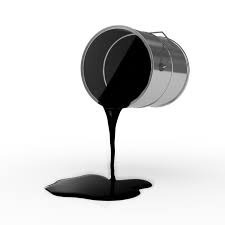 We are a foremost firm for presenting Indorite Black Board Paints. We offer this product in dissimilar forms that meet on clientele demand. Green Board paint is specially designed for painting of wooden and asbestos boards. It has good resistance towards slippage of chalk during writing. Available in all packing 20 ltr, 4ltr, 1ltr, 500 ml, 200ml, 100ml, 50ml.